For an investigation of the physical properties of gravitational fields the observation of massive test particles and light is very useful. The characteristic features of a given space-time may be decoded by studying the complete set of all possible geodesic motions. Such a thorough analysis can be accomplished most effectively by using analytical methods to solve the geodesic equation. 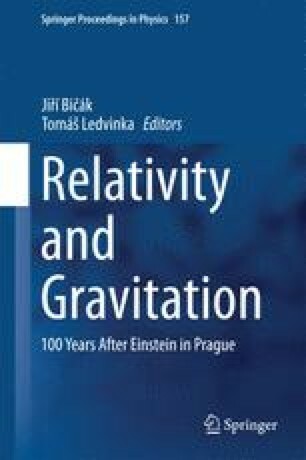 In this contribution, the use of elliptic functions and their generalizations for solving the geodesic equation in a wide range of well known space-times, which are part of the general Plebański-Demiański family of solutions, will be presented. In addition, the definition and calculation of observable effects like the perihelion shift will be presented and further applications of the presented methods will be outlined.